There are several barriers between us – the conscious us – and the world. We are constantly bombarded with information from our environment and our physical bodies use senses to read that information. As a first barrier the limitations of our physical senses act as filter on the incoming information and only let certain content through. 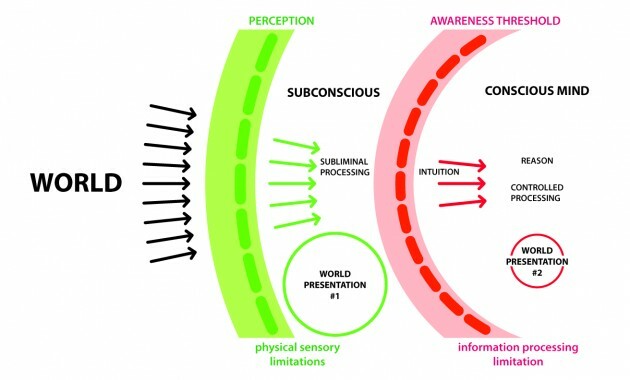 Now our subconscious is at play and processes the perceived input and acts as second barrier, as it decides which information will be handed up above the threshold of awareness to our conscious mind. Conscious perception of the physical world around is a filtered and mutated presentation of the real deal. This is nothing new. We are already aware of the fact that there is so much more out there that is beyond our sensory range, and even beyond our technologically advanced sensory capabilities (see dark matter). What i find highly intriguing though, is the fact that our subconscious mind has access to a much faster and more detailed library of knowledge than our conscious mind does. Studies show that our subconscious senses at a higher resolution (Small Difference in Sensation, 1884) and at a higher sampling rate (Mere Exposure Effect, 1980) than we are aware of. But this high level of detail is not necessary for survival and would cause an information overload for that entity of our mind that we call consciousness. Instead of relaying all possible input forward into awareness, our subconscious makes a selection. The really important stuff is passed on of course, but the majority of it is processed directly in the subconscious with quick rule-of-thumb methods. Only the final product of these processes enters our awareness in the form of hunches, instinct, gut feelings, snap judgments or – as we mostly called it – intuition. Intuition is a fidgety topic. Discussing it with friends showed that everyone has his/her own interpretation of what it means, and especially in what situations one makes use of it. 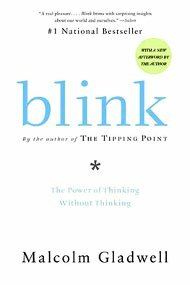 I’ve read Malcolm Gladwell’s Blink and understood it as a book on intuition. Yet he never uses the word intuition in the book and calls his subject rapid cognition instead. And rapid cognition is the perfect word for what my understanding of intuition is: Your unconscious makes decisions, reaches conclusions in a similar rational way as your conscious thought processes would do. Yet it does it a lot faster, and has access to more memory than your consciousness does. Within 1-2 seconds intuition can tell you if a person might be lying to you, if a chess game might be lost or if a situation might become dangerous. It tells you in the form of a gut-feeling, delivering the final conclusions of a long debate without revealing any of the rational behind it. It relies on your unconscious picking up on cues in the environment, on discovering micro-expressions on someone’s face, on comparing situations to hundreds and thousands similar ones housed in your memory and even digs into genetically and biologically hard-coded instincts. Maybe Gladwell shies away from calling it intuition, because he feels that the term is too associated with emotional, irrational and mystical concepts. Probably letting go of the term and calling it by a new name is reasonable. Rapid Cognition. – Overgaard M, & Timmermans B (2009). How unconscious is subliminal perception? In his 2005 book Malcolm Gladwell presents a series of studies that demonstrate how our subconscious helps us make decisions, yet also leads us astray. It’s an easy read, probably too easy. I have heard Jonah Lehrer’s How We Decide and Gerd Gigerenzer’s Gut Feelings: The Intelligence of the Unconscious might be a bit more thorough. Antonio Damasio’s study with card decks (Emotion, Decision Making and the Orbitofrontal Cortex, 2000) shows that the subconscious figures out game advantages and starts to influence behavior accordingly before that information reaches awareness in form of a hunch. Damasio also shows that test subjects with damages to a part of the brain responsible for planning and decision making (Ventromedial prefrontal cortex) are not able to produce hunches. So, how do you measure if information is present in your subconscious, yet not in your conscious mind? 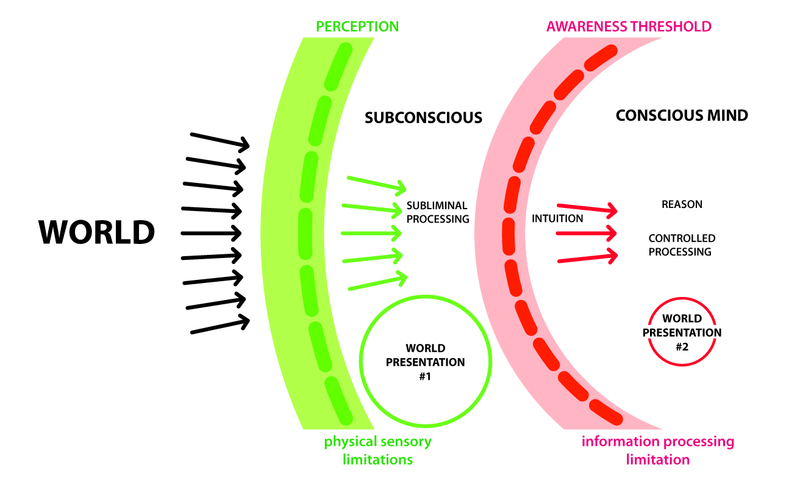 In his paper Does “subliminal perception” (perception without awareness) occur, and how can it be measured? (2004) Berkes gives a good overview of the controversies existing in experiments trying to capture subliminal perception. 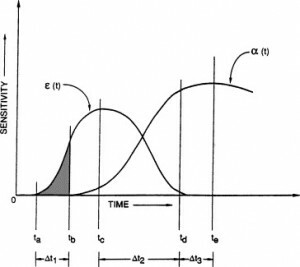 Experiments testing the effect rely on null effect / null sensitivity data – which means subjects have no conscious awareness of a given stimulus. Detecting this condition is not easy. When detection relies on Self-Report of awareness (or non-awareness) by the subject, it is flawed as every person has different response bias that influence their statement. Early test, like the Peirce Jastrow Experiment have been criticized for this. The Dissociative Paradigm method asks test subjects to choose between fixed options, even if he/she finds them equivalent. The choice will unconsciously be influenced by the subliminal stimuli (see Mere Exposure Effect, 1980). The Exclusion Paradigm presents test subjects with a task and asks them not to use the supposedly subliminally presented stimuli (Jacoby exclusion task, 1994). In 1884 Peirce and Jastrow published the paper On Small Differences in Sensation that documents their highly interesting experiment, showcasing that our subconscious even has a finer resolution in perception than our consciousness does. 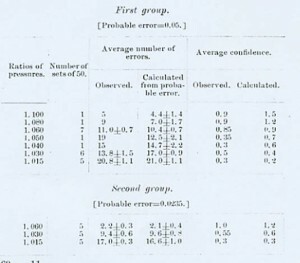 Subjects had to compare weights that were so similar that they seemed identical. People were asked to indicate the heavier object and also to specify their level of confidence in their choice. Subjects that indicated zero percentage of confidence – and seemingly only picked one over the other by chance – ended with a 62-70% success rate. Even though they were not aware of any difference between the two stimuli, their intuition let them to pick the right answer more often than not. The findings indicate that their intuition could give the answer based on reason, because their subconscious had a more accurate perception of the weight than their awareness. In 1980 Kunst-Wilson and Zajonc showed that subliminal exposure to an object increased a persons affect for the object. This phenomenon is know as Mere-Exposure Effect – we tend to prefer what we are more familiar with. (Yet! The more invasive and repeated the exposure is, the more we’ll start to respond in a negative fashion.) In their experiment Kunst-Wilson and Zajonc showed test subjects 1 millisecond flashes of an image of a polygon. Afterwards the test subjects were presented with images of two different polygons, and were asked to pick the one they recognized and the one they liked better. As the flashes were too fast for conscious awareness and therefore at chance level, the recognition question correctly led to 50:50 answers. Yet the same test subjects indicated at 60:40 preference for the polygon they were subjected to. In 1994 Debner and Jacoby executed a word completion experiment that sparred conscious processing against unconscious processing. Images of a priming word were flashed at test subjects at durations that ranged from subliminal to clearly visible. Afterwards the test subjects had to complete word-stems and were instructed not to use the priming word. Here the threshold of awareness was evident in the results. If test subjects were aware of the priming word, they avoided in the word completion task. If the priming was truly subliminal, they were much more likely to use the priming word in the task. Always Half a Second Behind? So, we know that the unconscious influences our conscious behavior. What if it does more than simply influence it? Benjamin Libet’s famous volatile-action experiment challenges the concept of free will as it demonstrates that neuronal spikes signal the onset of action before a conscious decision to take action has been made. Maybe our subconscious is truly in control of us? Maybe our subconscious possesses free will and orchestrates our conscious experience like a puppet on a string. Your subconscious as the dark ego, living within us. Or, our subconscious is not in control either, and free will is an illusion. Which option is better? Creepy vs. disillusioning. In 1983 Benjamin Libet, following German neurologist Hans Kornhuber, asks volunteers to move a finger ‘whenever they feel the urge to do so’. Measuring their brain activity, he discovers that first brain activity controlling the movement happens roughly 500 milliseconds before conscious awareness of the subjects intention to move their finger, and another 150 milliseconds before the actual movement. Now that we know that our subconscious knows more, sees more, hears more than we do, the questions arises – how can we access it? Through simple training? A more sensitive awareness to whatever your gut tells you? Once a skill is routinized by extensive practice it is moved down into subconscious territory, to make space for new content. We walk, we breath, we swallow, and are mostly not aware of it. Can we master any skill and implement it in our subconscious? Has our subconscious a more open mind for scientific ideas that are hard to grasp for our conscious mind? Is our subconscious able to understand multistability, and therefore allows the existence of separate realities in it’s neuronal circuitry (see An Oscillating Reality Battle)? 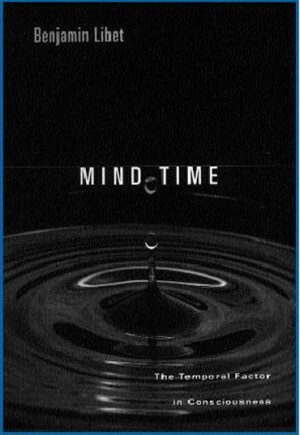 Is our subconscious the maker of time and creates the illusion of time for our conscious mind? 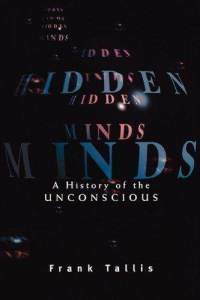 In this book Frank Tallis leads us through the history of the unconscious touching upon hypnotism, lucid dreaming, subliminal stimuli, psychoanalysis and new research in neuroscience. Very recommended. Brain Science Podcast – Episode 13 “Unconscious Decisions!”, where Dr. Ginger Campbell discusses unconscious rapid decision-making, Malcolm Gladwell’s Blink and other writings on the subject. Stuff to Blow Your Mind Podcast – Episode “Is Your Gut A Genius?”, where Robert and Julie talk about butterflies and lots of neural wiring in your stomach. Brain Science Podcast – Episode 19 “Gut Feelings by Gerd Gigerenzer”, where Dr. Ginger Campbell discusses said book. Posted in meta, Research and tagged 2012, awareness, consciousness, free will, intuition, Malcolm Gladwell, perception, senses, subconscious, subliminal.